The Business Ethics and Society DSST covers what a student would learn during a single semester of a Business Ethics college class. A few of the specific topics you'll see see are: Business ethics, corporations and stakeholders, ethical standards in different countries, and privacy issues/concerns. This is brand new at the time of this writing (released this week), so there's not much information available on the exam yet. I have it scheduled to take next week, and I plan on studying for it up to that point. After I've taken it, I'll update this area with my thoughts on the actual exam. A few things that I've noted from the Fact Sheet that's been made available. It appears that this exam is a mix of quite a few others. I definitely recognize some questions from the Principles of Management CLEP and Principles of Supervision DSST, mainly having to do with corporate responsibility. I also spot some of the same material as the Principles of Marketing CLEP. It should also go without saying that it seems the Ethics in America DSST and the Human Resource Management DSST will also both come in handy while studying for this exam. ***Update*** - I took and passed (435) the exam today. I was only able to study for an hour or two due to work, so obviously it was less hard than I imagined it would be. You may be asking yourself, "Why does he put this as a difficulty of '4' if it's so easy?" Well, primarily because I was able to use a lot of the old knowledge from other exams. If you've already taken the exams I've listed above, then the Business Ethics and Society DSST is probably around a "3" in difficulty. If not, you'll probably find it a little bit harder. I've included a link to the feedback I posted on InstantCert in the Free Resources below. I'll also flesh out this study guide with some particulars from the exam when I get the chance. Until then, study each and every one of the things I and Campbell mentioned in the IC thread and you'll be well on your way to passing the Business Ethics and Society DSST. First Feedback from the DSST - Look on Wikipedia and study each thing that Campbell and I have listed in this thread. Hopefully others will also post more feedback as they take it. South-Western Cengage Learning - Jadechow from IC has found a resource that is extremely useful! If you click on the "ACE the Test" link to the left, you can take a practice test for each chapter. Downloadable study notes are also available through the "Prepare for Class" link for each chapter as well. A very nice find! South-Western Cengage Learning - Social Responsibility - Another great find from Jadechow. Works as same as the link immediately above. Select the chapter, and then you can select the interactive quizzes and resources from the left. A guide to understanding the Social Contract - A submission from one of the readers (Thanks Timothy!). An overview of the Social Contract and the distinction between the many minds behind it. Child Labor Statistics - A website that shows many of the statistics behind the world's child labor. While I wouldn't go too deeply into this, a basic overview may serve you well. Business Ethics - Wikipedia - I'm actually quite impressed with the amount of information they have here. It seems to mimic the Business Ethics and Society DSST format quite nicely. Business Ethics Lecture Notes - I'm going to be using the heck out of this. Power Point Presentations on Business Ethics - Not a great resource, but goes over some good information. I downloaded the Corporate Citizenship, Business Ethics, and Business Ethics/Social Responsibility presentations. 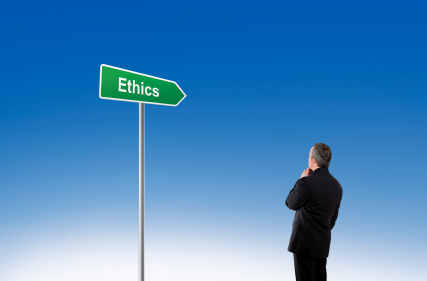 Business Ethics - Scribd - Actually goes into quite a bit of detail. Also has a nice summary of Kholberg's Model towards the end. Business Ethics Lecture Video - A lecture from Walker College of Business at Appalachian State University by Dr. Charles Oswald. Best video source I've found so far for the Business Ethics and Society DSST. An Introduction to a Business Ethics Course - This professor, Michael Einheuser, evidently created this series to introduce his students to the class while he was out of country. It summarizes well, and introduces quite a bit of the same information I expect to see on this exam. Definitely worth a watch. Ethics and the Conduct of Business (5th Edition) - One of the suggested materials from the Official Fact Sheet. They recommend the 6th Edition, but this is the 5th Edition version and should serve you well enough. The difference between the two is around $50. Business Ethics: 7th Edition - Ethical Decision Making and Cases - I have one word for you.... "Library!" See if you can find an earlier edition there. Another idea is a used textbook store. Always aim for one edition down if you can't find this edition at a reasonable price. This one wasn't nearly as bad as I expected. If you've taken the other exams I listed above, then most of the information is pulled from there. I would make sure you hit everything in that feedback thread as well. I tried to commit to memory everything I hadn't seen before. Are you studying for this one as well? Did you find a study resource that I haven't listed? Use the Contact Us Form to let us know about it. If it's a good one, I'll include it here for others to use as well. This is worth 3 UL credits so it should be a no-brainer to attempt if you need those. The Business Ethics and Society DSST is much easier than many of the other Upper Level DSST's, and I'm confident that you can pass with some study. Go get those credits!